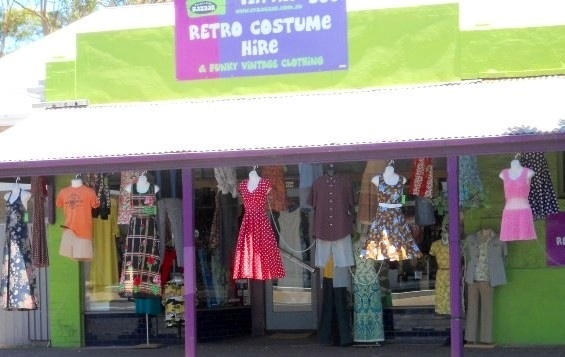 While looking for an outfit to hire, for a 70's themed birthday party, I came across Clarence Park Bazaar. 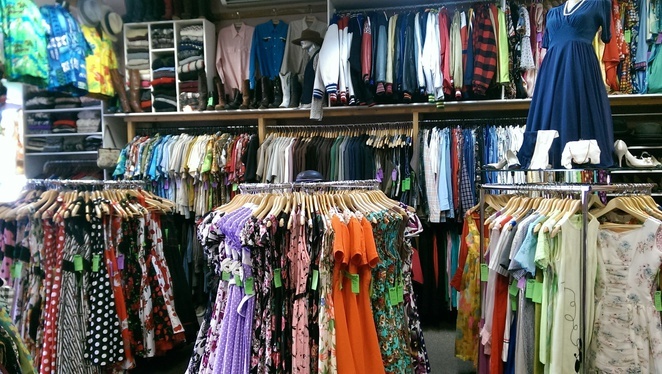 This store is a treasure trove of clothing and accessories. 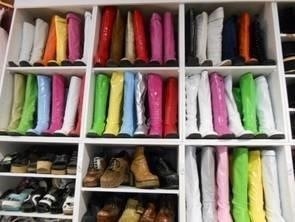 An adult's version of the "dress up box". I had so much fun looking around in this shop. The shop assistant, Carla, was really helpful and friendly. She made sure I walked out feeling confident with my outfit. Half the store has outfits for hire and the other half has Rockabilly and vintage clothing for sale. Clothing sizes in the store go up to a Size 26. 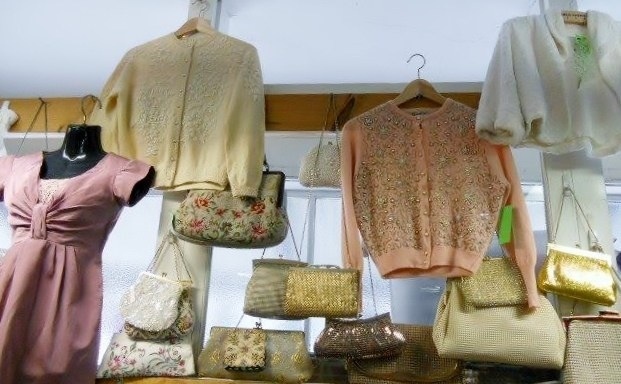 Some of the clothes were so lovely, I could have quite easily bought some of the dresses, cardigan/jackets and boleros for sale. For men, there are bowling shirts, western shirts, Hawaiian shirts, retro shirts, varsity jackets, knitwear, suits, waistcoats, jackets, pants, and a great range of hats for both men and women to buy. 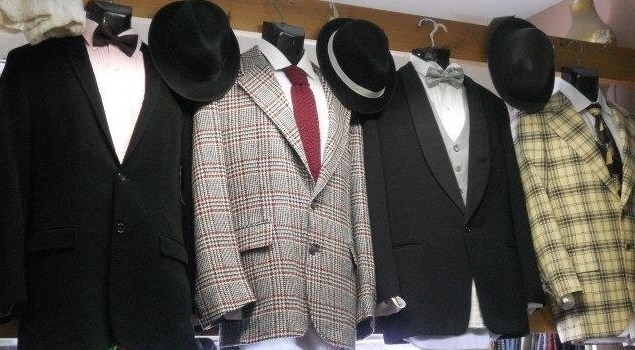 Costumes available to hire range from the 1920's through to the 1980's, as well as pirate, circus and Halloween costumes. 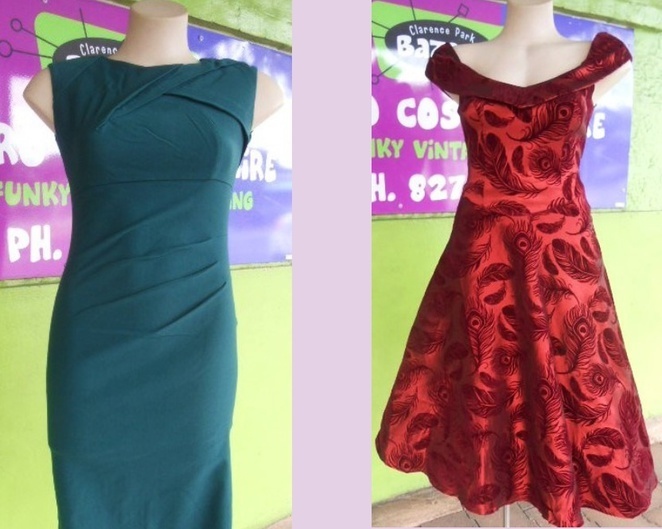 To complete your outfit there are wigs, knee high boots, platform shoes, cork wedges, accessories, gloves, jewellery and more. Clarence Park Bazaar is on your right if you are driving south from the CBD, parking is available behind the store. 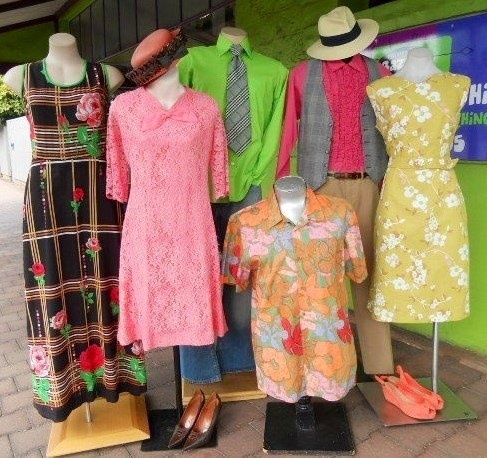 Just look for the bright green and purple store with clothes hanging along the front verandah.